Coach Trivers has been coaching football for 23 years, including 16 years as head coach of three different football programs. He was the first coach in the history of Northwest High School in Germantown, Maryland, where in nine seasons he led the team to five Division Championships, three Regional Championships, and one State Championship. He was also the Head Coach at Leesburg High School in Leesburg, Florida, for four seasons where he led the team to four straight winning seasons, two state playoff appearances, and its first home playoff win and District Championship since 1969. In recent years, Coach Trivers has led the Eagles to a 37-11 record in four seasons including back-to-back DCSAA State Championship Titles. 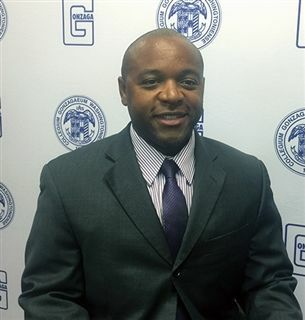 Coach Trivers attended the College of the Holy Cross in Worcester, Massachusetts, where he played running back and earned his Bachelor of Arts degree in English with a concentration in African American Studies. After college, he earned a Masters degree in Education at the University of Maryland, College Park. 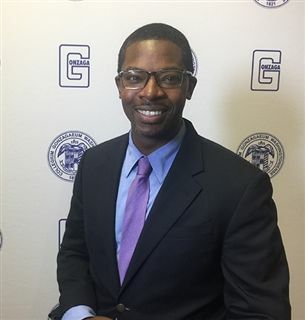 A member of Gonzaga’s English Department, Trivers teaches Classic Literature and African American Literature. He and his wife, Amanda, have two sons, Rex and Rhys. Coach Alston is in 22nd season coaching football, and his third season coaching at Gonzaga. He spent 20 seasons coaching at Myrtle Beach High School in South Carolina, his alma mater. Coach Alston played college football at the University of Utah while earning his Bachelor of Science in Sociology with a minor in Criminology. Coach Alston and his wife, Dee Dee, have three daughters, Laquavia, Lakeitha, and Shaqueta. Before joining the Eagles’ coaching staff three years ago, Coach Mitchell coached for one season at Atholton High School. 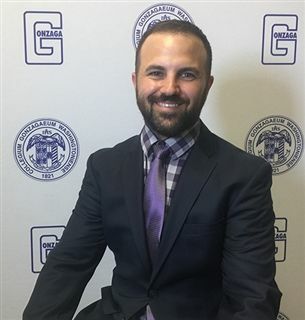 Coach Mitchell is originally from Petersburg, Virginia, but later moved to Great Mills, Maryland, where he graduated from Great Mills High School. At Towson University, he played football and studied Sports Management and Business. Coach Rosier has been coaching at Gonzaga for 13 years. Originally from Dallas, Texas, he later moved to Virginia and graduated from Gonzaga in 1996. He went on to the College of William & Mary, where he played football and earned a Bachelor’s degree in Economics. Coach Salley is in his 5th season coaching and his 3rdnd season with Gonzaga. Coach Salley has worked on staffs at the University of Tennessee, the University of Maryland, and the University of Southern Mississippi prior to coming to Gonzaga. Coach Salley is from Germantown, Maryland, where he graduated from Seneca Valley High School before earning a Bachelor’s Degree in Exercise & Sports Science from Frostburg State University. Coach Salley is currently working towards earning a Master’s degree in Athletic Coaching Education from West Virginia University. Danny Schaecter, known as Coach Shack, is in his 13th season coaching football, and his 5th at Gonzaga. Prior to coming to Gonzaga, Coach Shack worked on the coaching staffs at Illinois State University, Arkansas Tech University, Jack Britt High School (NC), and Leesburg High School (FL). Coach Shack is from Northbrook, Illinois, where he graduated from Glenbrook North High School. Coach Shack and his wife, Nicole, have a seven-year-old daughter named Hailey and a one-year old son named Zayde. Coach Simmons is originally from Muskogee, Oklahoma, and now resides in Woodbridge, Virginia. 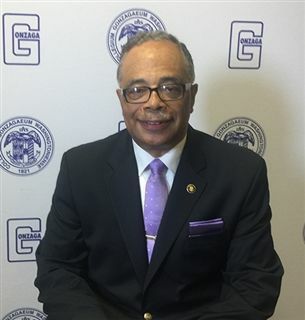 A 1965 graduate of Gonzaga College High School, Coach Simmons earned his Bachelor of Arts degree in History from the University of Maryland and Master of Science degree in Computer Science from the University of Oklahoma. Conrad Singh is in his 12th season coaching—he spent two seasons at Hampden-Sydney College before joining the coaching staff at Gonzaga nine years ago. From Fort Washington, Maryland, he graduated from Gonzaga in 2000, before going on to Hampden-Sydney College, where he earned his Bachelor’s degree in Economics. Coach Singh was inducted into the Hampden-Sydney College Athletic Hall of Fame in 2014. Coach Singh and his wife, Gemini, have a three-year old daughter named Michaela and a one-year old son named Julian. Coach Volpe has been coaching football for ten years, seven of them at Gonzaga. He is from Reston, Virginia, where he graduated from South Lakes High School. 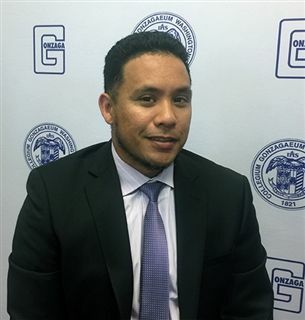 After high school, he played at the University of Albany, where he earned his Bachelor’s in Finance and Master of Business Administration degree. Coach Young is in his 6th season in the coaching profession and his 4th season at Gonzaga. He coached at Thomas S. Wootton High School before joining the Gonzaga staff. Coach Young is from Germantown, Maryland, where he graduated from Northwest High School. Coach Young played collegiately at both Virginia Tech and Morgan State University, where he earned a Bachelor’s Degree in Health Administration. Coach Young has worked on campus as part of the Facilities Department since 2017.